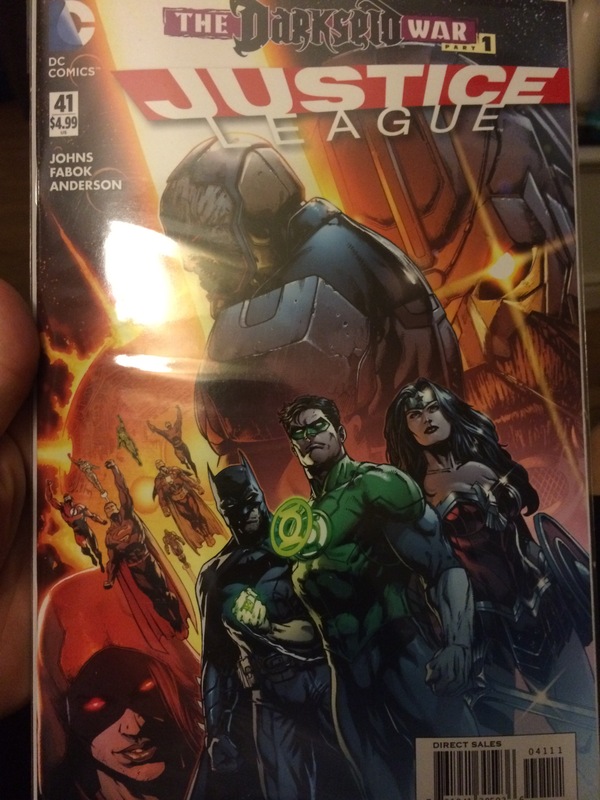 Justice league is reveling off the amazo virus of the past few issues. This new installment kicks off post convergence with a bang. 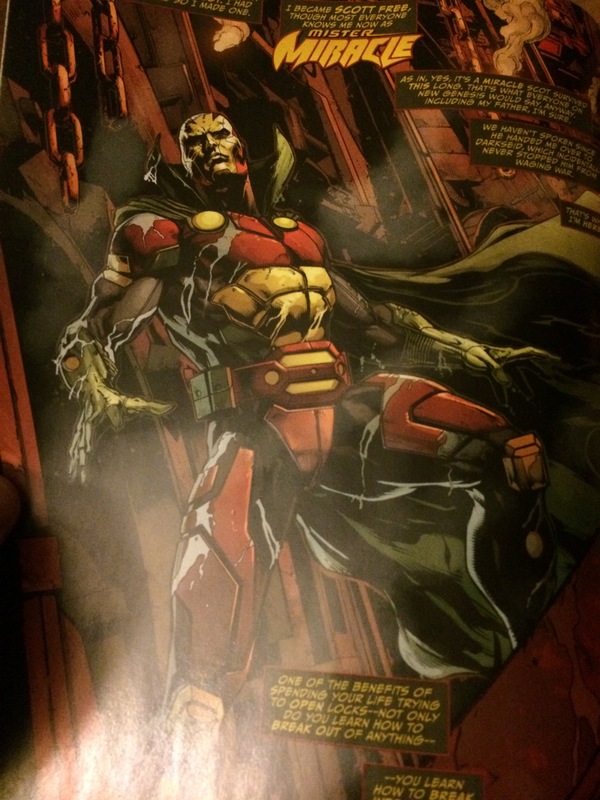 The now non new 52 dc starts off with a huge summer epic with the Darkseid War. This book was awesome! We see the whole team together with a cast if Superman,Batman,Wonder Woman ,lex, cyborg, Shazam,the flash, and Hal Jordan back as the green lantern ! Mr miricle is back and looking to end the trynny if his step dad Darkseid. 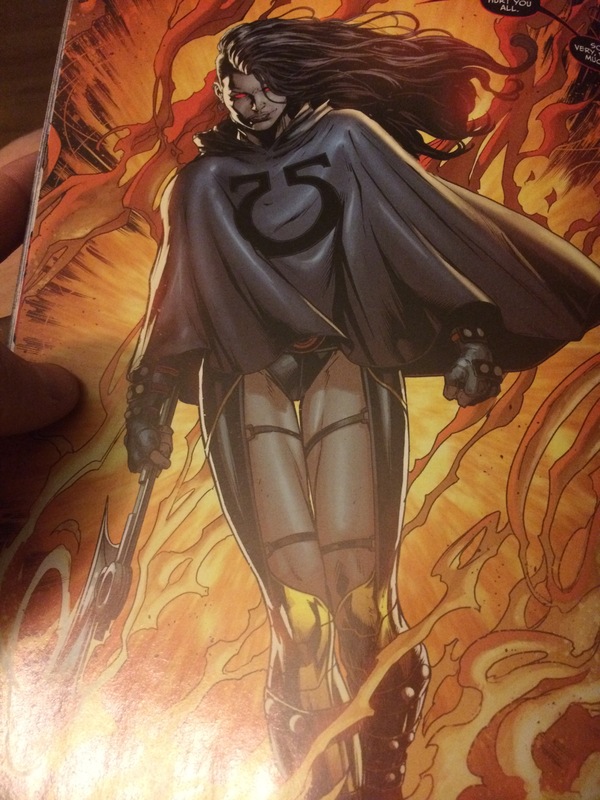 Also Darkseid’s daughter is going to be a huge player in the war between darkseid and the anti moniter. She looks to be extremely dangerous and looking for blood as she takes down the justice league single handedly. How wil this new installment in one if the best books DC publishes turn out ? We have all summer to enjoy this truly epic fight and I can not wait to see how it unfolds. Marvel has it’s mega summer event happening right now. Secret wars is awesome. 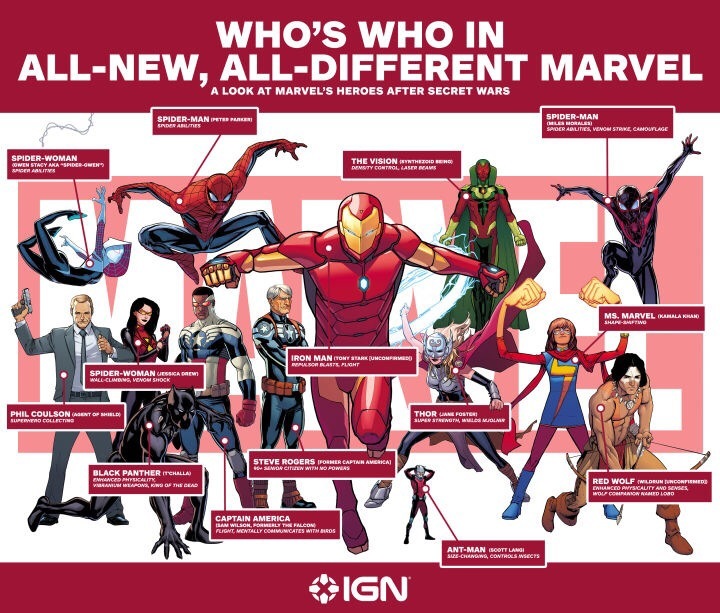 Like all good things, secret wars must end and it will end this fall with the all new Marvel titles. 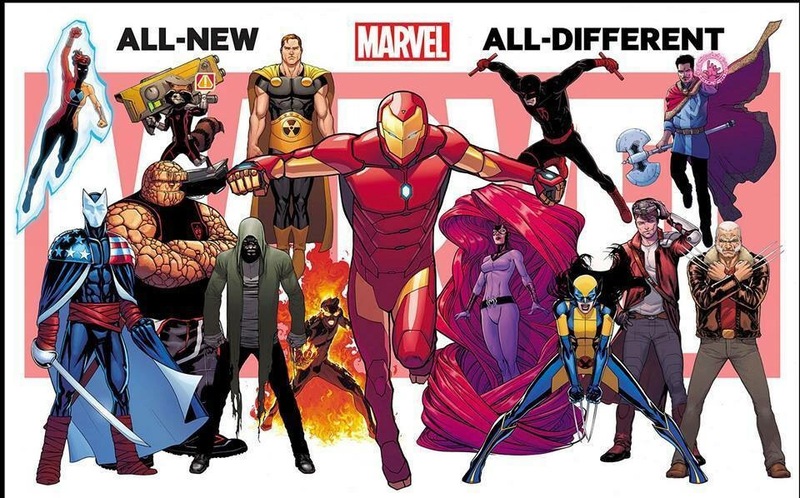 Marvel is boasting anywhere from 55-60 new titles. These pictures show off characters and stories. Are you guys excited ? Pissed off ? I’m pumped but also a little weary of the changes. 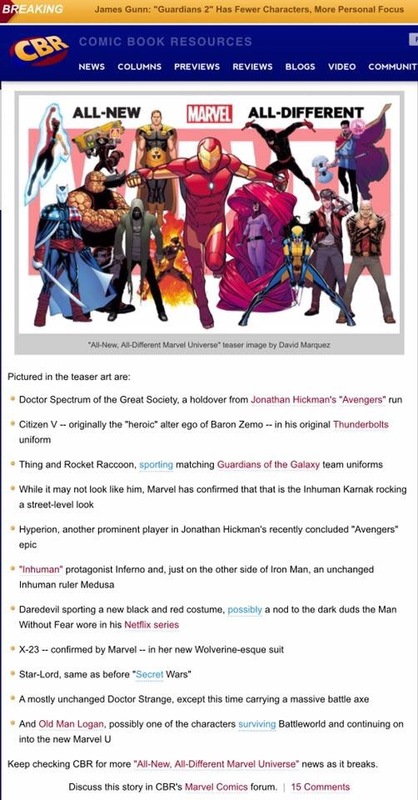 Only time will tell if this change will be like D.C’s New 52 or if this will be Marcel’s genesis into a new era of comics. Long time no post. Sorry it has been forever since I last have wrote anything. I finished school for the semester and decided to stop my blog lol. well hopefully that will change. I am going to start incorporating all my hobbies into this page. 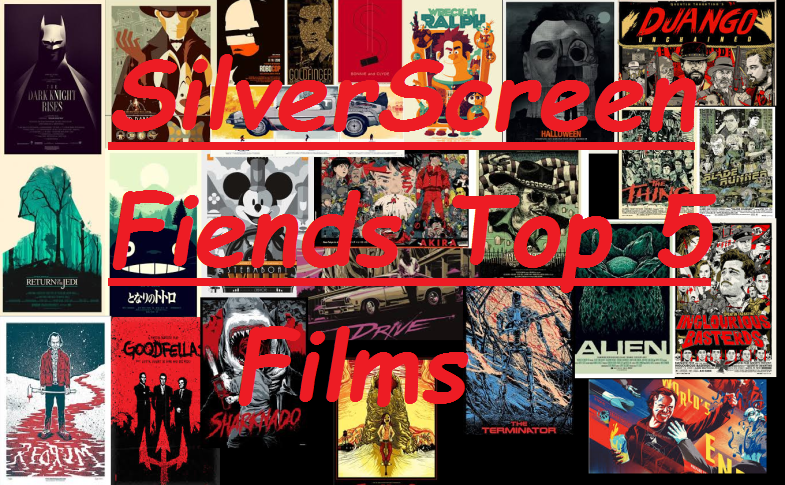 Movies,books,comics,podcast, and whatever other nerdy stuff I am currently into may make it’s way onto this blog. 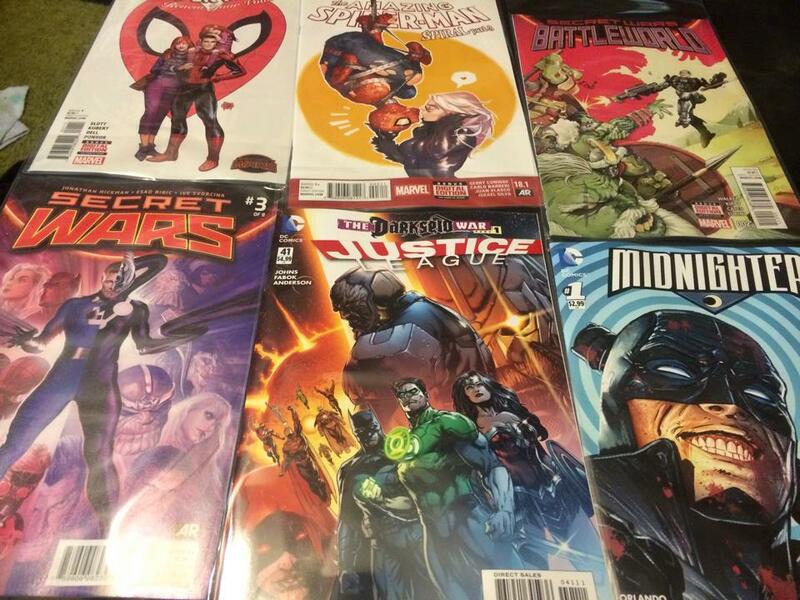 Anyway… these are the new comics from this week’s pull list. Reviews may be up soon who knows.